The ISD2019 conference (Toulon, France) will be hosted by the Higher Institute for Electronics and Digital Training (ISEN Yncréa Méditerranée). The theme of ISD2019 is Information Systems Beyond 2020. The conference focuses on mutual influences between information systems and organizational structures, processes and people and promotes research of methodological issues and ways in which the IS designers and developers are transforming organizations and society through information systems. ISD2019 will be organized around a number of new and well established tracks. See the description of the Conference Tracks for more information. ISD2019 is soliciting original, unpublished completed research papers and research-in-progress papers. All papers must be in English and submitted via the EasyChair conference management system. For details about paper formatting see the Submission Details. All submissions will undergo a double-blind peer-review process. To ensure broad participation, each author should normally not submit more than 3 papers. The ISD Proceedings will be published in the AIS eLibrary. Note: To be included in the proceedings, a paper must be presented at the conference by one of the authors. In addition, a selection of the best papers (by invitation) will be published Springer as a separate volume of the Lecture Notes in Information Systems and Organization series (indexed by Scopus; subject to final approval). 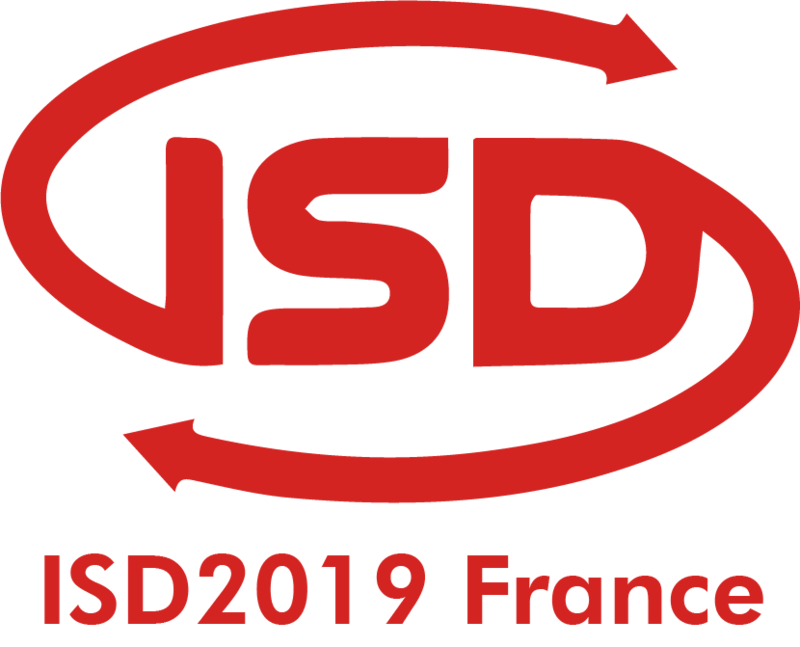 The ISD2019 conference emphasizes a number of new and well established tracks. Click on the track title to see the details on conference tracks, topics and track chairs. Information Systems (IS) are contributing to transformative changes in business, society, environment and everyday life of people. The exponential increases in technological capacity has been argued to distribute control and locus of innovation. Digital technologies enable new types of innovation processes, and offer unprecedented opportunities for adding, recombining and integrating resources in services and products. Developments in Information Systems Development (ISD) can potentially increase citizen participation in democratic processes, standards of living, and transparency. Simultaneously, further advances in technology developments poses new challenges. Increased sophistication of information systems and creation of systems of systems makes difficult to predict the final outcome is the one that was imagined at the beginning. In case things go wrong, it raises the question of responsibility and trust in the whole value chain of the creation of a system of systems. Hyper-connectivity (social media, connected devices) raise privacy concerns. If primary use of data collected from connected devices is “for good”, secondary use of data can produce negative outcome. This raises the question whether transparency of systems and accessibility of data can be efficient in all situations. Also, too much transparency of systems in terms of data use can create a potential to cybersecurity threats. Artificial intelligence (AI) is becoming one of the virtual stakeholders. But how can one trust the output of the design process of AI? While new technological capabilities in IS are an important enabler of societal progress, technology alone does not create economic growth and social progress. Relationships are critical to beneficial interactions between technology, its users and the wider society. Taking into account the impact of IS on quality of people's lives, environment, employment, education, business and public organizations implies in fact shifting the logic from technology design to design of socio-technical systems. Governance of such complex systems also needs to be understood in order to benefit from technology while offsetting its risks. This track welcomes all contributions that consider intertwining between technology and society; conditions under which technology is designed “for good”, trust in complex IS and ethical considerations related to ISD. If you have any inquires regarding paper submission to the track T1, please contact the track chairs at track T1. The theme of this track is Human-centred New Media Technologies that consists of both data representation and interaction. The term Human-centred New Media Technologies comprises both Human-Media Interaction and Human-Human Interaction. The track will focus on both design and engineering novel media technologies, including virtual and augmented reality systems, data representation, training simulations, computer games, 3D animations, and interactive movies. The track will highlight novel methods and technologies beyond 2020, and promote innovation, creativity, interactivity, collaboration, and new service technologies as a step forward for the development and acceptance of futuristic tools and techniques centred around next generation media. The publications are expected to focus on not only novel concepts, but also the implementation and testing of these concepts as innovations in virtual and augmented reality as next generation media. It is expected that the papers will contribute to the advancement of knowledge in the field of next generation media technologies and their acceptance. If you have any inquires regarding paper submission to the track T2, please contact the track chairs at track T2. This track focuses on two broad areas: 1) information systems development (ISD) methodologies, and 2) information systems development (ISD) education. The goal is to create a forum of discussion and dissemination of novel, relevant and rigorous research as well as industrial, professional and practical experiences that address: 1) challenges and opportunities faced by various stakeholders in the development of information systems, and 2) challenges and opportunities faced by various stakeholders in the education of information systems professionals. A special interest is in research addressing these challenges and opportunities by taking into account the needs and characteristics of sustainable development, sharing economy, big data and information society, environmental and social responsibility, and by considering the information systems as socio-technical systems. 4)	Methodology contributions to ISD and ISD education. If you have any inquires regarding paper submission to the track T3, please contact the track chairs at track 3. Information systems development (ISD) modifies, expands and creates new socio-technical information systems composed of processes, people and technologies. ISD is much more than software development, including activities such as analysis, design, development, implementation (adoption) and evaluation of information systems. Managing IS development includes managing strategy, demand, innovation, projects, software, and security, as well as customers, finance, change, and so on. The “Managing IS Development” track will present and discuss research proposals and share practical experiences about solutions to the increasing systemic socio-economic, political and environmental problems related to the management of IS development. We invite submissions from researchers and practitioners in all topics related to the Managing IS Development area that may contribute to solve these problems in a long term, and expect a dynamic sharing and discussion of ideas and experiences about innovative practices, methods, and technologies. If you have any inquires regarding paper submission to the track T4, please contact the track chairs at track 4. Current information systems development takes place and has to respond to an environment where digital technologies and innovations such as social media, big data, the Internet of things, mobile and cloud computing are the enablers and drivers of digitalisation and digital transformation, the fundamental sociotechnical transformation of business and society. Digital technologies significantly influence processes, products, services, and business models and strategies, by connecting machines, things, and individuals and by enabling new ways of working, collaboration, and automation. The smart fusion of the physical and digital world, data-driven services, smart products, product-service hybrids, and digital platforms reinforce that information systems are not just technical artifacts applied by some individual users, employees, workers or customers but are part of sociotechnical and sociomaterial systems which are based on digital ecosystems and involve larger parts of business and society. In such an environment citizens, customers and business partner are and have to be engaged as participants and co-designers in the information systems development process as they are a major source of any value generation in an environment which is changing from a goods-dominant to a service dominant logic. Comprehensive information systems such as enterprise systems are only rarely developed from scratch, application and service development becomes more the rule than the exception. This context for information systems development is characterized fast change; it is dynamic and at times turbulent. In a disruptive climate entrepreneurs and start-up challenges incumbent information systems providers. Onshoring is contesting the still popular trend to offshore development. In this setting agile information systems development in combination with other methodical approaches such as co-design, open source, crowdsourced, and community-based development has achieved credibility as an approach for dealing with adjustments, alterations, modifications, and the unpredictable and hardly controllable elements of the development process. Beyond traditional text- and paper-based scholarly submissions in line with the conference topic of ‘Information Systems beyond 2020’ we also explicitly encourage submissions presented in an alternative genre to the orthodox format. Such unconventional forms of communicating research work allow for reframing the prevailing boundaries and a broader and inclusive view of information systems development scholarship. This may include the application of other literary forms such as storytelling, drama, confessional accounts, or comics or other visual media based representations and illustrations instead or in addition to text to convey high quality results of current topics in information systems development scholarship. If you have any inquires regarding paper submission to the track T5, please contact the track chairs at track 5. There are four steps to attend ISD2019 as an author. Templates containing instructions for paper formatting. Link to the conference management system. Link to the Registration Form. Participants other than authors also use this link to register.